In the early 1980's, Joseph Rael ~ Beautiful Painted Arrow, Visionary and Mystic, began traveling around the world sharing his Vision of Peace Sound Chambers and his insights about the healing power of Ceremony. Through his travels, Joseph was struck by the fact that people all over the world were seeking a direct experience of the Spiritual realms. 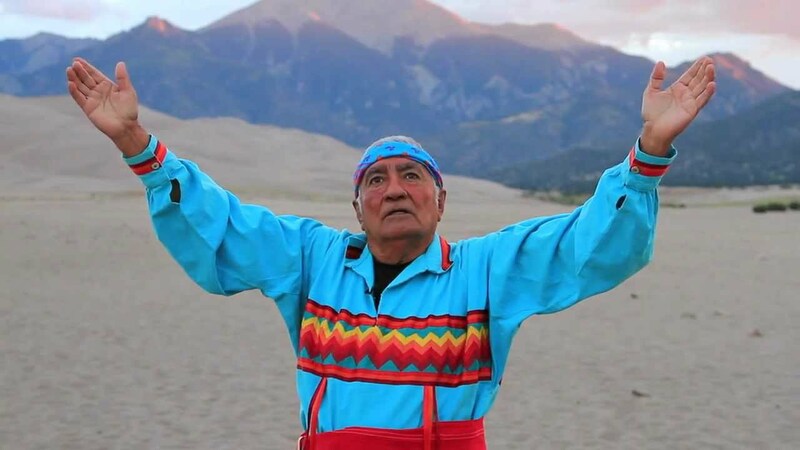 To assist people in this endeavor, he began leading sacred, non-traditional Dances that Spirit brought to him in Visions. Based on his early training, he knew that these Dances would provide the special conditions needed to promote the direct experience of Spirit. For 15 years he traveled the world leading three sacred Dances which came to him in Visions: the Long Dance, Drum Dance and Sun-Moon Dance. In 1997, Beautiful Painted Arrow retired. To continue the work that grew from his Visions, he asked many of his students who danced with him to take responsibility for the Ceremonies going forward. Since that time the work has grown and many of Joseph’s students have now received Visions of different Dances of their own. All of these Dances, Joseph’s and those created by his students are non-traditional and do not promote any specific religion or creed. Each person is understood as a beautiful Light Being with a unique and lovely path. They are open to all people who are seeking Inspiration to live a life of high potential. Each of the Dances requires effort and commitment on the part of the dancer. Sun-Moon dancers are asked to make a commitment to dance for four years. The commitment for the Drum Dance is six years. Dancers begin to experience the power of the Dance from the moment they make the commitment to dance. Anyone who feels called to dance should contact the chief or coordinator for that Dance at least 1-3 months before the Dance for information.